Industrial industries use process control to achieve a production level of consistency, economy and safety which could not be achieved purely by manual control. With this advanced training program, we will discuss final control elements, safety, calibration, and testing procedures, and how control loops operate. Learners will explore how to work with controllers, transmit data, and the computers used in process control. Upon successful completion of this program, learners will understand the advanced areas in industrial process control and will be prepared to utilize this knowledge and skills in a vast network of industries. Mechanical Systems play a key role in many industries to provide the machines necessary for productivity and success. In this advanced training program, learners will gain knowledge in properties of metals including mechanical properties, troubleshooting and the importance of proper systems maintenance, and the different power transmission equipment. With this program, we will discuss different practices and principles vital to successfully working with mechanical systems such as machine shop practices and welding principles. Successfully completing this program will prepare learners to work in multiple career settings that utilize mechanical systems. 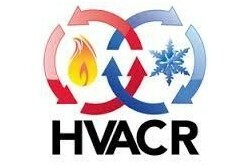 The HVAC/R Technician Specialist program offers an opportunity for students to learn the skills necessary to enter the field of heating, cooling and refrigeration while also exploring methods for communicating effectively with the customer and solving problems. As the industry moves forward into the future, the need for skilled technicians is growing. This program is made up of three areas: HVAC/R Technician 1: Fundamentals & Refrigeration Our HVAC/R Technician 1: Fundamentals & Refrigeration course has a clear-cut vision of necessary knowledge to gain employment in the HVAC/R industry. This Automotive Technician (ASE) series covers automotive theory and the service and repair of various systems of the automobile. This program prepares students for a successful career as an Automotive Technician by outlining the automotive industry, the role of the Automotive Technician, and steps for diagnosing and servicing all automobile systems. Learn necessary knowledge to gain employment in the automotive industry with up-to-date content including electronic automatic transmissions, preventive maintenance, and hybrid vehicles. Our automotive technology program is everything a student needs to know to diagnose, service, and maintain automotive systems. This program is made up of three levels from beginner to advanced. Our Medium / Heavy Diesel Automotive Technician three-part course series covers industry trends and current technology to provide an in-depth guide to highway diesel engines and their management. This series prepares entry-level and experienced technicians alike for a successful career as a Medium/Heavy Diesel Automotive Technician by outlining the role of the truck technician, industry tools and standards for safety, and steps for diagnosing and servicing a full range of diesel engines. Learn the necessary knowledge to gain employment in the automotive industry with up-to-date content including the principles and practices underlying current and proposed ASE and NATEF tasks and the most current diesel engine management electronics used in the industry. Automation and Mechatronics engineering is a key field in the industrial and manufacturing industry. This field works to unite the fundamentals of mechanics and electronics to create more functional systems and equipment. In this level two, intermediate level program we will cover multiple topics including the basics of hydraulics and pneumatics, transformers and AC circuits, electrical safety, and power supplies as well as providing the first introduction to robotics, process measurement and control, and the principles of welding. This program is targeted at professionals with previous level one training or experience including the basics of safety, tools, and mechanics & electronics. Mechatronics is equal parts mechanical, electrical, and software engineering merged to design, build and operate products. Automation and Mechatronics engineering is an inter-disciplinary field that integrates mechanical systems with electronics, control, and computer technologies. 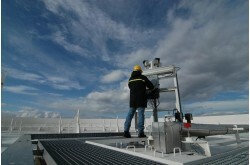 This field combines mechanical system design and analysis with process control, networking, and computer software. In this level one, entry level program we will cover all the essential prerequisite skills and knowledge necessary for working in this growing industry. We have broken down the training into multiple sections that will cover all areas from the basics of reading blueprints and schematics to introductions of mechanics and electronics.